Applying to Pacific Professional Flight Centre is an easy process. Application form below can be used by both domestic and international students. We look forward to helping you reach your career goals. Online: Simply fill out and submit the online application form at bottom of this page. Training starts at your convenience. Students can pace the training progress at their own pace. Our comprehensive 150 hour daily ground school course runs continuously and new students are welcome to join in at any time. We are the only flight school that offers ground school on a daily basis. In addition, students are encouraged to re-sit any or all of the course upon completion at no extra charge. Please complete the following information. This is the first step in the admissions process. Once the application form has been received, our Admission office will get in touch with you to verify information and complete the registration. How long will it take to get my licence? Do I need to pay full cost up front? Does school provide student housing? When can I start flight training? 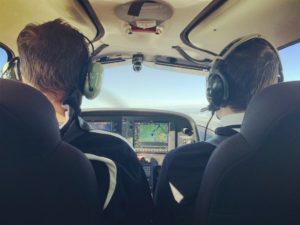 Does school offer Introductory Flight? Does school offer job opportunities? Can I apply for citizenship after training? 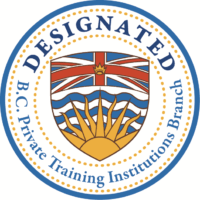 Pro is one of Canada’s largest and most respected flight training institutes. 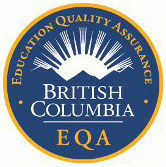 We are Accredited by PTIB and have received the Education Quality Assurance (EQA) designation from the Ministry of Advanced Education. See our flight training and programs. Pro has an impressive fleet of 20 modern aircraft from the Cessna 152 to Cessna 172, G1000 equipped Cirrus SR-20 to IFR certified Duchess twin, plus two RedBird Full Motion IFR Simulators. Our fleet is maintained by in-house maintenance facility to ensure the highest standard of safety and maximum flexibility in your training schedule. See our fleet here. Becoming a professional pilot is a gateway to an incredible life. At Pro we strive to get the best from you and for you. Our courses are designed through consultation with leading aviation experts, providing students with the essential knowledge, skill set, and confidence required to be successful pilots in today’s aviation industry. See what current and past students have to say. We have mountains, lakes, the Pacific ocean, and other interesting terrain to fly around. The weather in Vancouver is mild compared to the rest of the country. Plus, being so close to the beach and surrounded by the famous ski hills will make your time with us rewarding and fun. Check out plenty of things to do in Vancouver. Our school is culturally diverse. We have trained pilots from over 40 countries encompassing all four corners of the globe. We are well versed in the special needs that our out-of-country guests may need and we always go out of our way to make your stay a positive one in every way possible. See what current and past students have to say.